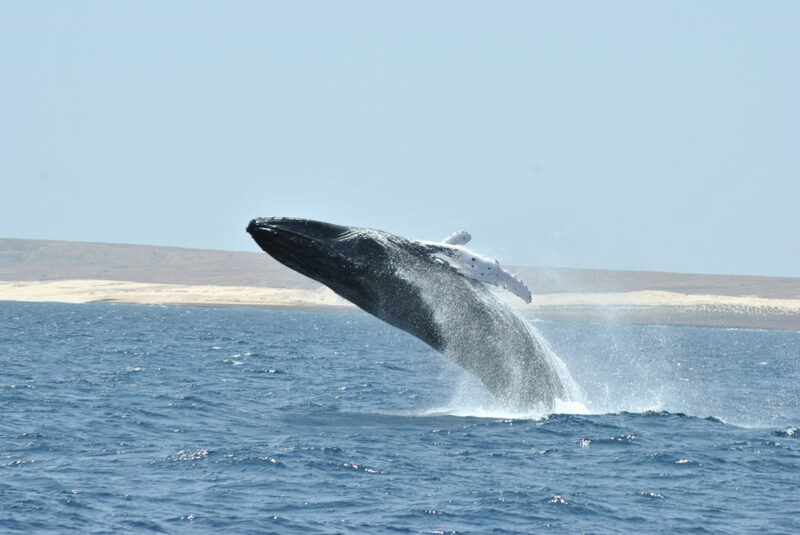 In Boa Vista it is possible to closely observe whales: groups of North Atlantic Humpback whales come to Cape Verde to give birth, normally in spring from March to May, but the period can vary according to the climate of the previous winter. 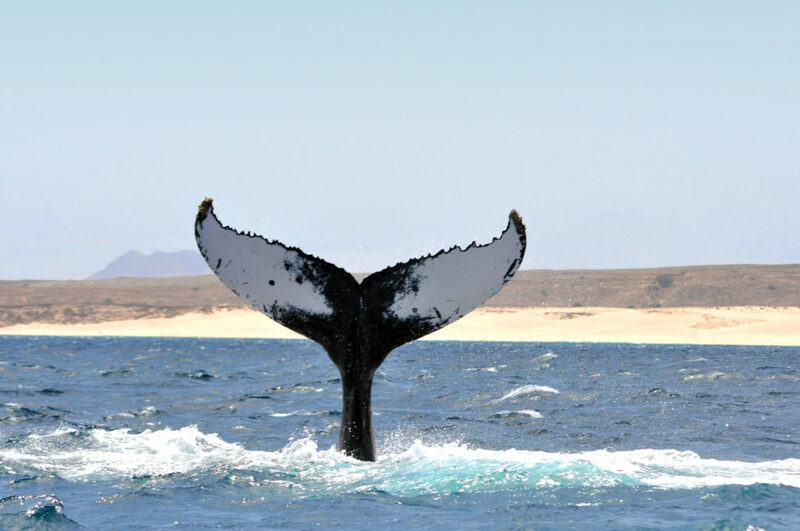 The boat ride along the shores of Boavista (catamaran or motor boat) takes about 3 hours and the probability of seeing the whales during this time is very high. 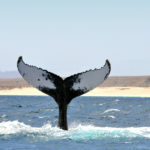 Whale sightings in Cape Verde are frequent, but they seem to favor Boa Vista because of the currents that carry their favorite food: krill (plankton). Over the years, their number has increased, a sign that Boa Vista is a favorable environment for them. 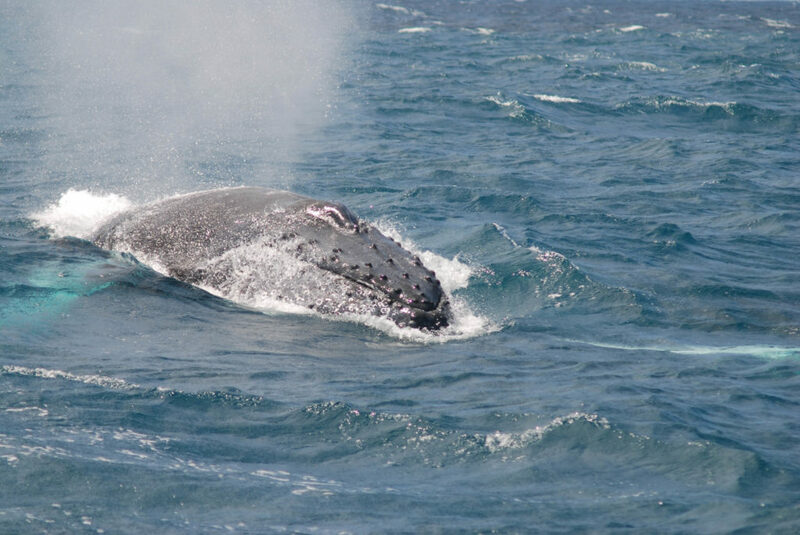 Whale watching contributes to raising visitors’ awareness of the protection of these fascinating sea creatures. 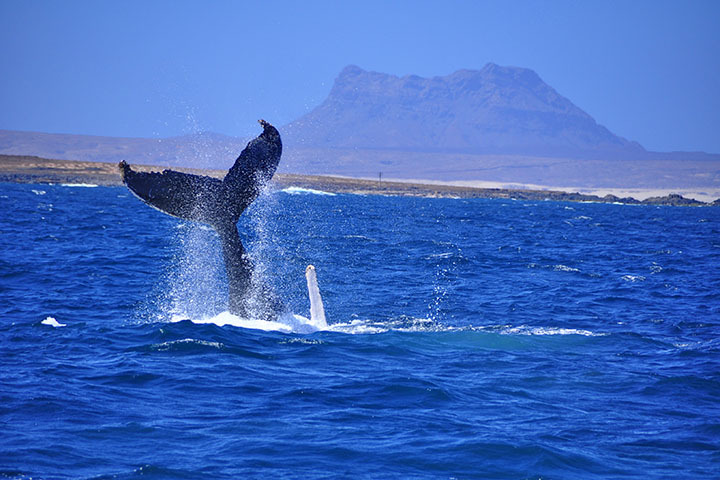 Whale watching is a very pleasant activity, without dangers, that is thrilling for both adults and children, because it allows total immersion in nature in complete safety. These cetaceans are huge but very peaceful animals: they often approach the boats simply intrigued by the noise or the size of the boat. 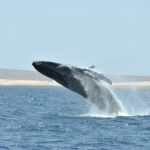 The whales are also very agile and it is common to see spectacular jumps or tail shots. 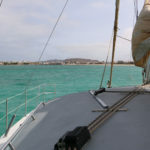 The sea is generally not very rough and the position near the coast allows a peaceful and pleasant trip. – It is better to wear comfortable shoes and a light sweatshirt: in the boat the floor can be wet and there can be a lot of wind. It is not recommended to wear heels or elegant clothing. – Be punctual, as transport is usually on time. – If you have professional cameras, it is advisable to bring a plastic bag or a waterproof backpack, as the splashes and the saltiness could ruin the objectives. – By booking on this page your request is forwarded directly to authorized agencies with insurance. The trip starts from your hotel or from the city in the early morning or in the afternoon. Once you reach the small pier of the city, a spacious inflatable boat will bring you on board of a catamaran or motor boat. After about 30 minutes, you will reach the observation area, in the company of a biologist, a professional photographer and the crew, who will make you feel at ease for the duration of the cruise. Drinks, snacks and beer will be served during the excursion and there is a bathroom on board. 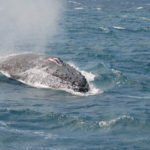 An introductory briefing will provide general information on the biology of humpbacks and their behavior. During the excursion it is possible to take pictures, but it is not possible to film underwater or go swimming. The crew can provide information about other animals you might see (sometimes even dolphins, whale sharks, flying fish and other marine animals). The excursion is suitable for children, 6 years and older and there are guides that speak ENG-ITA-FRA-DEU-SPA-POR. No special technical knowledge is required. Payment on the spot, no payment in advance. 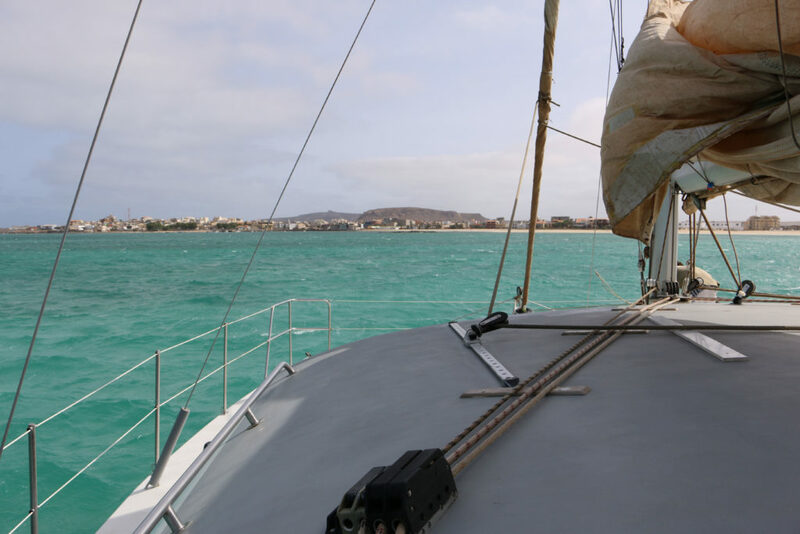 In case of bad weather or unfavorable sea conditions, the excursion is postponed or cancelled. In case of sudden interruption or cancellation, the ticket is reimbursed. The whale is the largest animal that lives on our planet. At birth weighs 3 tons and while living in the sea, is a mammal very similar to humans. Lives in a herd, gives birth, mates with a single companion, protects the puppies and teaches them to swim and feed. It is an animal that transmits power, joy and freedom and also transmits it to those who live the experience of meeting it.